It feels like yesterday that I was driving around on country roads with this Ryles and Melanie for their engagement session (click here to see that post). “TODAY’S THE DAY! Melanie and Ryles tie the Knot! 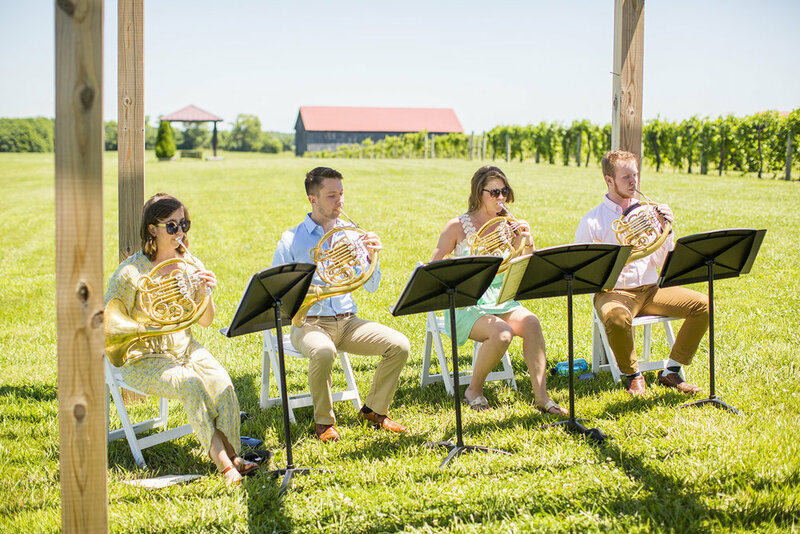 ” headed their custom wedding day newspaper as guests grabbed their late morning coffee and strolled by the grapevines to the gorgeous ceremony location at Talon Winery in Lexington, Kentucky. Ryles and Melanie are both professional musicians so it was extremely fitting that the ceremony was accompanied by horns under the pergola. 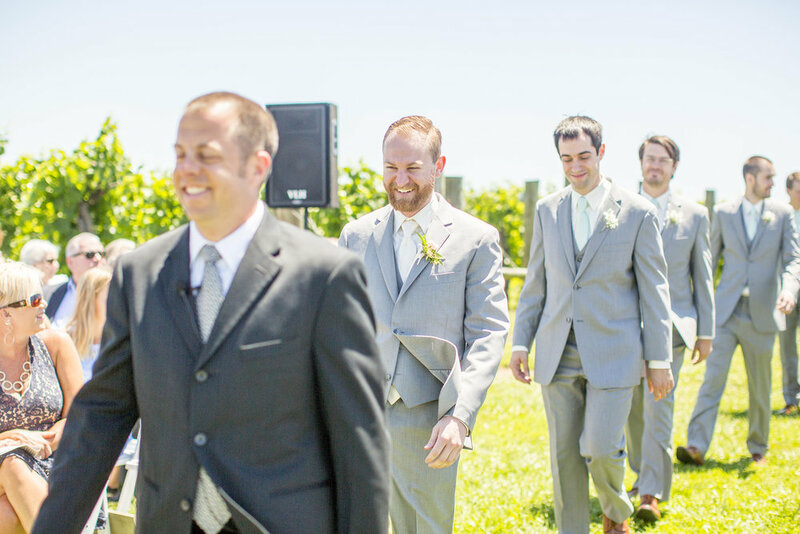 It was a sunny noonday ceremony followed by a perfect reception of BRUNCH! The back of the barn filled with the scent of bacon and scenes of waffles being endlessly topped with fruit and syrups. 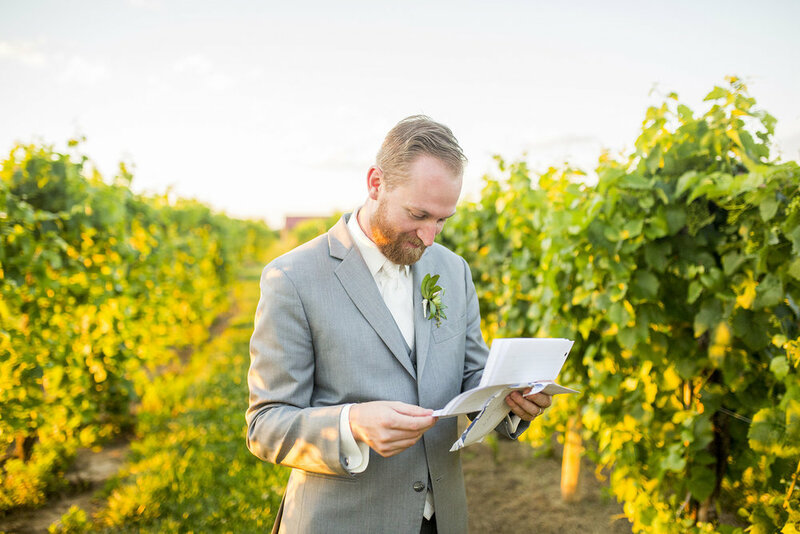 Guests laughed at all the toasts and danced the afternoon away under twinkle lights, taking breaks to enjoy the outside activities of corn hole, croquet and a custom crossword puzzle in the wedding newspaper. As everyone grabbed their Italian Knot thank-you-for-coming-cookies and blew bubbles for R+M to exit- the couple then drove off into the mid-day sunshine. As the sun set later that evening, after the decor had been removed and the celebrations a recent memory, we met back up for portraits at golden hour. There was an absolutely gorgeous sunset as they walked hand in hand through vineyard. They exchanged their letters to each other that didn’t get a chance to be read earlier in the day, danced in the sunset and gave each other a years worth of kisses on the cheeks. It was a beautiful end to a lovely Sunday. 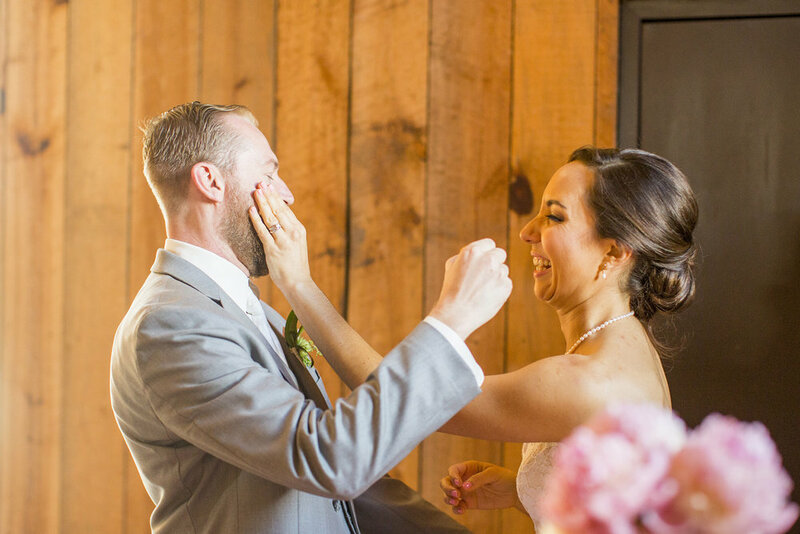 Ryles and Melanie had an incredible team of local vendors who made their Sunday brunch wedding day such a hit! They are listed below the photographs. It’s worth it to scroll all the way to the end for those dreamy sunset portraits and to see who helped make the event magic happen. R+M I truly hope you love your wedding images as much as you love each other. It was so much fun to document your celebration and I’m excited to see where life takes you. Enjoy! Please Click the business name below to be taken to the website for these incredible vendors! If you are not able to click through to a website the person/business does not have a website or it is not linked.